The type of anger we should feel when we face today on our television screens when we see the pictures of the innocent victims of war in Sudan, Zimbabwe, Afghanistan, Iraq or any region where people abuse people for the sake of their own power and glory. The sort of anger that should make us cry tears of sadness and humility when faced with the utter poverty of the families living on the streets in the cities of the world such as New Delhi, Mexico City, Rio de Janeiro or Sao Paolo. George Bernard Shaw once described poverty as the greatest of crimes. That deep seated anger that should be amongst us as Christians when we see the oppressed and the poor being used and abused by those who are in positions of power to help them. We are all quite comfortable with the God of Psalm 93, the God of majesty, strength and magnificence who is from everlasting to everlasting. The God who is mightier than the greatest seas! The God whose glorious holiness covers his house eternally! Yet something, somehow, makes us uncomfortable about praying to God for justice. Perhaps our view of God is too small. For sure our God is a God of mercy but he is also a God of justice. Our God is a God of love, but He is also a God of wrath. His written word affirms all these things. So the writer of the Psalm calls and prays to God for justice to be done. That He, the judging God might be glorified. Has the writer made this up? No, because God has described Himself as Judge and Avenger (Genesis 18:25; Deut 32:35). How many of us here, have prayed for justice to be done? Perhaps we should pray on occasion for burden of injustice to be lifted off the poor and oppressed peoples of this world. But, before we go any further on this thought, let us consider together 3 things about Psalm 94. The people who do this sort of thing are the object of the writer’s anger. They are not only content to do evil deeds, but also add hard speeches, boasting, threatening and insulting the saints of God. The insults are used so often that they become a natural part of the language. That is the idea behind the phrase “pour out” in vs. 4. Words often wound more than swords, they are as hard to the heart as stones are to the flesh; and they are poured out by the ungodly against the godly. According to verse 4, they even talk to themselves, and of themselves, in spiritual arrogance, as if they were doing some good deed in crushing the poor and killing the widows, orphans and foreigners. Their error is that they believe that God cannot see their doings, and even if He could see, He wouldn’t do anything about it any way. These evil people, who grind the people of God with oppression, crush them with contempt claim that God cannot see them, and so therefore reason that there is nothing to stop them from doing their evil works. There is no limit to the pride and arrogance of these wicked people, as they have lost their senses (vs. 8 ) and lost all common sense. It is natural for them to boast, just as it is natural for godly men to practice humility. The God of Jacob heard him and led him throughout his life and said concerning Jacob “Touch not mine anointed, and do my prophets no harm”, yet these proud and arrogant people proclaim boldly that God neither sees nor knows what we do. It is true that those whom God will destroy, He leaves to the madness of their corrupt hearts. What is God going to do? In verse 14, is the answer to verse 5. The Lord has not rejected his own people. He has not forsaken those who are his. To do this, would go against God’s very nature. As his inheritance, God has marked out all those who are his saints. God takes a peculiar interest in their well being and delights in them; He has an eternal covenant with them. I will be your God, and you will be my people. Will God not defend his people? In verse 14, we have the answer!! The Lord will not withdraw His love or leave people totally on their own against the evil persecutors. For a little while, He may leave them with the design to benefit them, yet he will never utterly destroy them. He will discipline His people, but never destroy them. In vs. 15, the great Judge will come, the reign of righteousness will begin, justice will be done and then all the godly will rejoice. The vehicle of right will be driven down the streets of evil, and all those upright in heart will follow it in joyous procession. Are we as the people of God today, following the path of righteousness or are we trampling somehow on the poor and oppressed? Are we keeping silent when we should be speaking out? Some governments of this world, have for sometime been using their power to oppress, but the cry of this prayer will bring back righteousness to the throne of government, and then every upright heart will proclaim loudly with joy! a) Help!!!! (vs 16-19). The writer is praying for God to judge injustice, and avenge the oppressed (vs. 2). But not only that, as he is also crying out for help (vs. 16). Who is going to rise up against the evildoers? He obviously needs help, and his friends are not there for him, so he calls out to God for help, The soul is safest and at rest, after calling all others to assist and no one comes, when total trust for help is upon God. Today the church sees error and evil coming into her, and faithful godly leaders seem to be a minimum, and fewer still are bold enough to stand up and defy the enemies of truth. Our great hope is that the God of the Bible is with us, and He will call out his champions to defend Him. b) Can a corrupt throne be allied with you? God enters into no promises with those governments who are corrupt, and He gives no help to unrighteous laws. No assistance does He give. They might legalize robbery and violence and then say in defense, it is the law of the land, yet it is still evil and wicked. No injustice is permanent, for God will not set His seal upon it, nor have any fellowship with it, and therefore one day it will fall. An example of this was the slaughter of the Jews during the 2nd World War. The German church in general, allied itself along with the laws and decrees of Hitler, and changed its theology to that of white supremacy. We all know that the plans of the Nazis failed. Or take for example South Africa, which up until recently had a policy of separating whites and others. For a long time the mainstream Church held as its theology that this was true. Since then, the walls of apartheid have fallen, and the church has confessed this sin to God. No evil regime lasts very long. The unrighteous join together, in order to attack the righteous. The guilty join each other to attack the innocent. No crime is too great for them. Yet there is good news. Let the ungodly join together, the Psalmist is not afraid, but sweetly sings that the rock upon which he stands his the Jehovah God, Yahweh who is his fortress and refuge. Firm is the rock of God’s love, and in Him we go for shelter. He is indeed a tremendous lover. As if in answer to his own question of verse 16, “Who will rise up for me against the wicked and evildoers”, the final verse gives us an answer. The natural result of oppression, against the innocent, the poor, or the righteous is the total destruction of the ungodly. The great God who is judge, will repay their sins, and destroy their wickedness. While the bread and food they have stolen is in their mouth, God’s wrath will slay them. God himself, visibly and noticeably, visits them and reveals His own power to them. To go over what we have seen so far. Firstly we have seen that God can be and indeed is both a lover and judge. Secondly we have seen the type of people that the writer faced in his battle against evil. He constantly called upon them to wake up and see sense, and repent of their sins before God destroys them. Thirdly we have seen that we should by faith, read the present in the light of the future, and end the song with a powerfully strong note. Thirdly, even in the face of abuse and persecution, we should turn to the living God for comfort and help in our circumstances. Too often we rely on ourselves or others for strength in times of trouble. It is God alone who can help us, and it is God alone who will destroy the evil in the world. The judgment of evil, according to Psalms, is a time for universal rejoicing. Ps. 67:4; 96:12-13; Ps. 35:24. Let us rejoice together when good overcomes evil in this world. 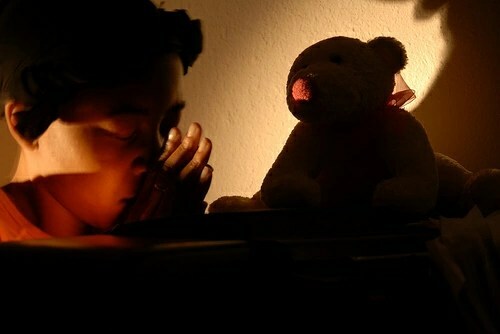 Finally, let us pray and cry out in anger against the suffering and evil in this world. And not only pray about it, but do something about it. We, as Christians, should be as light and salt to the world of darkness and evil. What will you and I do about being light and salt to a world where the innocent suffer, the widows and orphans are abandoned and murdered? There are perhaps two reasons why we study about people in the Bible – to learn how not to do some things like being deceitful, and how to do the right things like this mornings example Ruth. So this morning we are going to look together at the book of Ruth and discover who Ruth was, what is her story and how we can learn from her as we seek to live a godly and righteous life in Britain in 2009. Tonight we will be looking at the character of Rachel and how she fits into salvation history and how we can learn lessons from her. But on with this morning and Ruth! The book of Ruth is a cameo story of love, devotion and redemption set in the black days of the Judges. It tells the story of a pagan woman giving up everything to cling to the people of Israel and to God Himself. Shows her faithfulness when the nation was faithless. Doesn’t that sound a nice lovely story and wouldn’t it be good just to leave it at that, and not learn more about the character of Ruth. The greatest thing about Ruth, that we are going to learn about is, her obedience. Indeed elsewhere in Scripture it says that obedience is better than sacrifice. The story of Ruth as we have seen celebrates the gentle beauty of love and loyalty between individuals, and it shows the positive power of obedience to God for both personal fulfilment and wider blessing. By committing herself to Naomi, as well as to Naomi’s God, Ruth found satisfaction in service. Instead of losing her identity by her voluntary and complete submission, Ruth’s place in Israel and history is confirmed. There are four things about her obedience, that we living in 2009 would be wise to copy as we seek to follow this God with obedient lives that are worthy of Him. Firstly, her obedience is surprising – it has a wow factor to it! The harmony between Ruth and her mother-in-law is even more appealing when we consider the two unusual facets that could have driven them apart. Firstly, Mahlon, the natural connecting link between Ruth and Naomi was dead (Ruth 1 :3-5). Nothing specific is mentioned about the way the two women got along with each other while he was alive during those years in Moab. Instead, the story begins with the development of their relationship after Mahlon’s death and at the time of the women’s departure for Judah. The second part of this wow, is that could have driven them apart was that Ruth was from Moab. A brief review of the history of this neighbouring nation proves that its land and people were clearly off limits for the Jews. The founding father Moab was the result of Lot’s incestuous union with his older daughter (Genesis 19:37). Though Moab was not on the list of nations to be entirely destroyed by the Israelites under Joshua, its worship of false gods were offensive and troublesome (Numbers 25). Judges 3 relates that Eglon the king of Moab, received power from the Lord to punish Israel for eighteen years. When the people of Israel again cried out to God, the Lord raised up the judge Ehud, to kill Eglon and defeat Moab, to bring peace for eighty years. The story of Ruth as we have heard already, is placed at the time of the Judges. Elimelech’s decision to take his family into Moab to escape the famine in Israel probably occurred at a time when Moab was subdued, or at least not hostile towards Israel. However, God, had told the Israelites not to marry into the surrounding nations or join in their worship of false gods. The fact that Naomi’s sons chose Moabite women shows that they ignored this instruction. It also indicates the attraction of foreign influences to the Israelites, which God wanted them to stay away from. But we also see mercy in grafting into his line of blessing one Moabite because of her faith and obedience to Him. Naomi had two daughters-in-law, Ruth and Orpah. In view of their position as Moabite widows, it may seem that Orpah’s decision to return to her own mother’s house was more natural than Ruth’s when Naomi announced her determination to go back to Bethlehem in Judah. We could even argue that Orpah, after politely offering to accompany Naomi, was acting in accord with her mother-in-law’s wishes by remaining in Moab with her own people. Ruth, however, clung to Naomi and refused to leave her. But Orpah’s obedience was shallow, as her offer to go with Naomi was done out of duty not of love, and Naomi probably saw this and declined Orpah’s offer. Ruth however, remained to finish her story and claim a place in the genealogy of David and also of Jesus (Mt 1 :5). Secondly there is a witness in obedience. Ruth did more than merely remain with Naomi; she was in fact her main support, both during their journey and after arriving in Israel, even though she was a stranger in Bethlehem. News of her faithfulness obviously spread quickly as it went before her into the fields of Boaz. When she asked why as a woman not from Israel was being treated so kindly, Boaz replied because of her support and friendship of Naomi You can see that in Ruth 2:11. Though directly attracted by her outward beauty and manner, Boaz was already -aware of her reputation for loyal love and service. We see this when Boaz tells her, “All my fellow townsman know that you are a woman of noble character” (Ruth 3:11). Here we see the powerful testimony and witness of Ruth’s relationship with Naomi. Her unselfish devotion to one person, characterized by her obedience, made her appealing to another person and to a whole community. However, Ruth did not abuse -or flaunt her obedience as long-suffering, but held it in her heart as love. She was not looking for praise or pity, and she seemed genuinely surprised that her service of Naomi had been seen and recognized. Not once did she complain about the leadership of Naomi or her own circumstances. Instead of bitterness there was beauty, in her attitude as well as on her face. Ruth found her obedience fulfilling. Her immediate and ultimate rewards far outweighed anything she could have anticipated. Her obedience was a wow surprise but it was also a testimonial witness that had gone out before her. But just how did Ruth’s obedience come to have such a tremendous impact on those around her? It all started with a personal commitment, a permanent decision that brought her peace and provided her with direction for all that followed. On the border of Moab, Ruth had told Naomi of her commitment (Ruth 1:16-17) as we read earlier. Ruth’s commitment was absolute. Rather than constraining her, this new commitment gave her new purpose and opportunity to develop her character. When they arrived in Bethlehem, Ruth volunteered to pick up the leftover grain (Ruth 2:2). When she returned to Naomi, Ruth shared her grain with Naomi and told her about her day. Then it was Naomi who sensed God’s direction and gave Ruth detailed instructions as to how to approach Boaz, which Ruth obeyed perfectly (Ruth 3:1-6). Ruth 4:17 indicates that after Ruth’s future and family were secure, Naomi was included in the household redeemed by Boaz, for when the neighbours noticed how much she cared for Obed they said “Naomi has a son.” Truly the deepest love, trust and respect were at the centre of Ruth’s & Naomi’s relationship, bringing both of them mutual fulfillment. As Ruth obeyed Naomi, so she obeyed Boaz, both at their first meeting and later at the threshing floor. She won both the admiration of Naomi and Boaz as much by the quickness of her unquestioning responses as by her completeness in carrying out commands. Ruth won respect because she offered her respect in the form of obedience. Her obedience was total and complete. Not through coercion, but by love and adoration. Then finally, Ruth’s obedience was also worship. How is this? The result of Ruth’s obedience was Obed, the child fathered by Boaz as kinsman-redeemer, the one would inherit the family land and name in place of Naomi’s dead husband and sons. Obed in Hebrew means “worship”. Is not obedience really the outward action that derives from the inner response of faith love, and trust practised in regard to individuals and God? Jesus said “If you love me, you will obey what I command!” (John 14:15). Ruth’s acts of obedience throughout this her story, are also practical acts of worship of the God she had made her own by faith. So Ruth’s obedience has four factors to it: the wow factor, the witness factor, the wholeness factor and finally the worship factor! So go from here and be obedient to our awesome and holy God! Through obedience to Him as revealed in Scripture, you will be growing and changing into the very likeness of Jesus Christ whom you follow. Through obedience, you will be able to enduring and be persistent in your Christian lifestyle and evangelism. So much so, that people will ask you for the reason for the hope you have and portray. Finally, you may well be here tonight but are not yet a follower of Jesus Christ. If that is indeed you, please do not leave here tonight without making yourself known to one of the leaders, or to me, and we will gladly talk more about this Jesus to you. G’day! 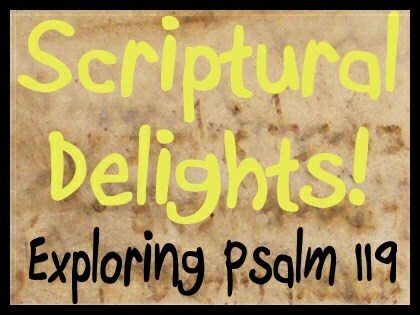 Welcome to Partake and our continuing series “Scriptural Delights!” Here is our twenty third podcast going through the wonder that is Psalm 119! Today we look at the twenty first of its twenty-two sections, Shin, and it is verses 161 to 168. Betty reads it for us! So over to you, Betty! Thanks Betty! That was great! We only have to read of David’s life in the Scriptures to know that he had enemies and persecutors from all walks of life. He was betrayed by close friends and attacked by people from both those within his own nation and those outside it. Here the people that are persecuting him are princes. Princes usually protect the innocent and bring justice to the oppressed. Princes usually act with honour, decorum and nobility – but not these ones! No! These princes are out to cause David, the Psalmist, harm and without a justifiable reason! Committing perjury against him and threatening his life. And what is David’s reaction? Is it to run and hide with fear and trembling from these persecuting princes? No! David’s fear is not from mere mortal men! David’s reverent fear is at God speaking! He is in awe of God’s Word. Mere mortals may harm the body, but only God can harm the soul and therefore the Psalmist is not disheartened by persecution, oppression or injustice. And the reason he is in awe and reverent fear of God’s Word is because it gives nourishment to him! He rejoices in the promises found! He has great joy at finding the treasures within God’s written word! He values these treasures as more valuable than the spoils of war! The Psalmist fights for truth, battles for justice and feeds his hungry soul on all God’s Word – not just his favourite parts! He loathes and abhors lies, perjury and false talk. They are bitter to him and a total contrast to the sweet honey of the Law and God’s written Word. He loves it, feeding from it and gaining strength and nourishment – because it is solid Truth.. Resulting from this nourishment and this Truth, the Psalmist gains strength to be at prayerful praise during the day! This perfect God he sought to praise perfectly! When his perjuring persecutors came to mind, the Psalmist turned to praise and sang to the God of truth and salvation! He wasn’t going to let these oppressive princes rob him of the joy of singing praise to his Almighty and righteous God! For he knows that God’s laws are righteous and those that love God’s law in obedience have great peace! This peace is not faltering as if built on sand! No! This peace is solid, reliable and true because it is based on God and His Law. Perfect peace for those who love God’s Law and Words. Those that love God’s Law are striving wholeheartedly to walk in obedience to God! When persecution comes, they have perfect peace, given by a God of peace. Because their peace is based on a God of perfect peace, they will not stumble or fall. While the Law was important and obedience to it produced from love, it could not provide salvation! Salvation could only come from the God and that through grace and grace alone. Because he had salvation assured, the Psalmist sought to show it by being obedient to God’s commands and laws. This love he has for God’s statues, testimonies and precepts is as a result of his great God saving, rescuing and redeeming him from all his enemies. The Psalmist, David, obeyed God’s statutes because he both loved them, but also loved his God. He strove to show his love for his God by being obedient to Him! His outer life which people see is a reflection of his inner spiritual life. Despite the traumas, tribulations and tests that come his way, the Psalmist knows that his salvation is assured, because his God has promised him and God always keeps his promises. The Psalmist knows the mind of God through reading, studying, digesting and loving God’s written word – it is the basis for his life of obedience to God. How are you doing? How are you coping when the tests and rigours of life in the 21st century come knocking on your day and wanting to disrupt you? Are you concentrating on them and worrying about them? Are they debilitating and corrupting you? What about when people perjure you, lie about you and betray you? How should we react? Fear not what mortal people can do! We are to be like the Psalmist and be at peace! If you are a Christian, you have an advocate before God the Father and you have the Holy Spirit as a comforter living inside you! That advocate is God the Son, Jesus Christ, the perfect Prince of peace! Unlike the princes who were persecuting the Psalmist, this Prince of Peace gives perfect peace to those who follow Him! Cast your cares, burdens, and worries upon Him and let Him handle them. Let Him give you wisdom to deal and battle with those that seek to perjure and persecute you. Read what God has said in the Bible, follow it and obey it! Obedience, not as a means to salvation, because salvation can only be through God’s gift of grace and that grace alone! Obedience to Almighty God is in order to reflect your inner peace with Him. Jesus said, “Love God and love others, for all the Law is summed up in those 2 commandments”. Work out your salvation, as the Psalmist did, with reverent fear. Acknowledge God in all areas of your life and allow the Prince of peace to give you peace – peace in you, with you, on you and emanating from you! Seek the treasures in the Bible that are waiting for you to discover them. God is trustworthy, faithful and true! Don’t just read your favourite passages, but all 66 books! It is worth it! Go in peace to love and server the Lord! Amen! The day God came to town! 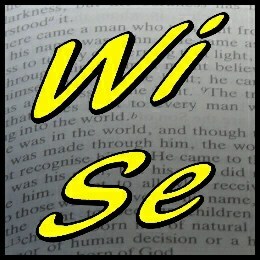 Right mouse click and save to download the MP3 file of this sermon. 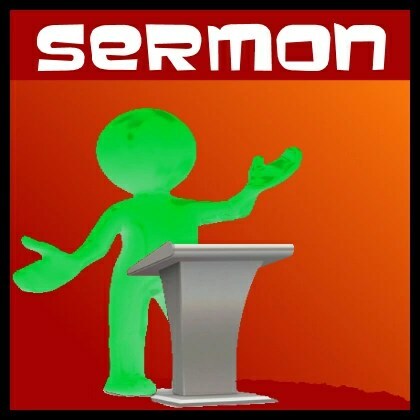 Right mouse click and save to download the text of this sermon in PDF format. I wonder if there anybody here that is 25 years old? Anybody turning 25 this year? How about those who wished they were turning 25 this year? Imagine you are a 25 year old and being trained for the family business. Then suddenly your enemies invade your city and take you away to a foreign land. That’s what happened to Ezekiel 5 years before this passage of Scripture, when the Babylonians, led by Nebuchadnezzar in 597BC took 3000 Jews back to Babylon. This was the first deportation. 1. Ezekiel – who was he and how did he get there? Now 30 years of age, if he had been in Jerusalem, he would have been ministering in the Temple. He was married to the woman who is described as the “delight of his eyes”. 2. How does Ezekiel describe this vision of God? 3. What is our response in 21st century Britain? 3b. We boldly speak God’s word. When you are faced with a crisis or some trouble, how do you react? Are you like the ancient Israelites that Ezekiel was sent to? Do you trust in the holy, all-powerful, all knowing, personal God or do you trust in other things? Be Holy and be obedient! Finally, if you need prayer for something related to what I have said today, then find somebody to pray for you. And if you cant find somebody to pray for you, then come and find me.